At the midpoint of our ride on Saturday, I was told that I completely misled my ride participants, that while I invoked images of Tuscany, the riders felt a little bit more like they were exploring the Serengeti. I really can’t be blamed for the weather (I think? ), so I told him if he could just sort of block out the heat aspects of the ride, the views were still quite nice. I also said that the weather was pretty true to my experience of Italy, with temperatures reaching well over 95 degrees every day I rode. So, yes, the defining feature of last Saturday’s ride was certainly the heat. The temperature was well into the 80s when we all woke up, whether we were inland or on the coast. The sun rose with a fury, and soon there was nothing to do but bake. And yet we still had an amazing crowd at Nytro on Saturday morning. The Team Fun groups are attempting to find each other easier by gathering toward the south end of the Nytro store front, pretty much under the lower popup tent. 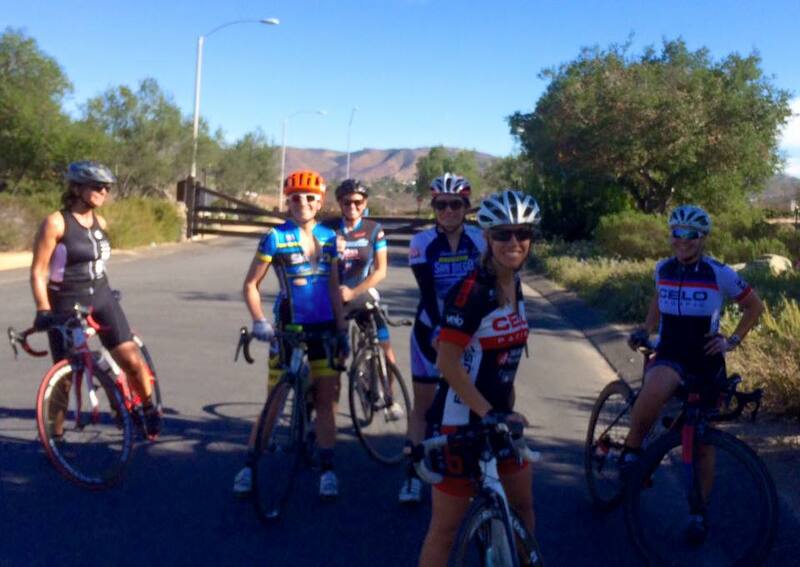 We had somewhere around 22-25 riders on Saturday separated into our three groups. On the second Saturday of the month, we will be doing a route we have especially scoped out beforehand as an adventurous and appealing route. This week we headed into Rancho Santa Fe, then up into the Torrey Highlands for some neighborhood exploration. 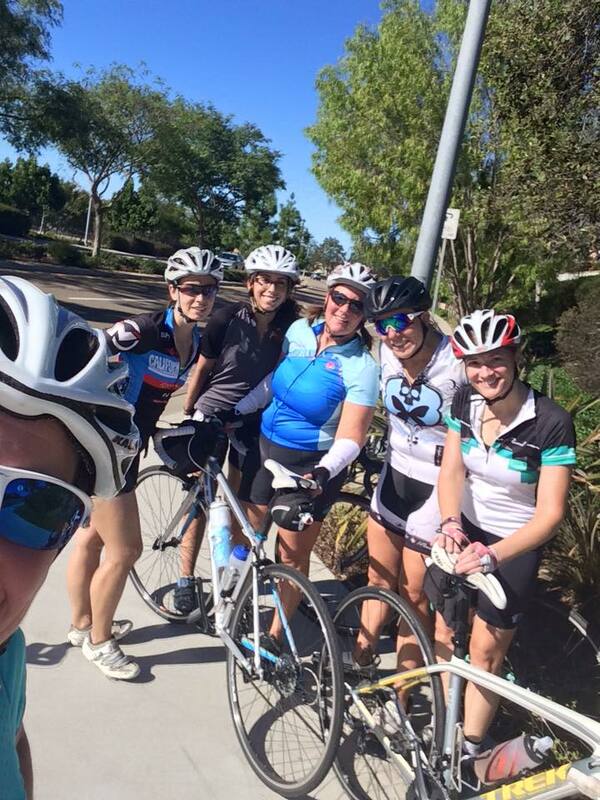 All routes included some hill challenges up front, with the A and B routes taking on the Three Witches climb as well as some >10% grades on Run of the Knolls, while the C group had their biggest challenges on El Camino Road and Carmel Mountain Road. 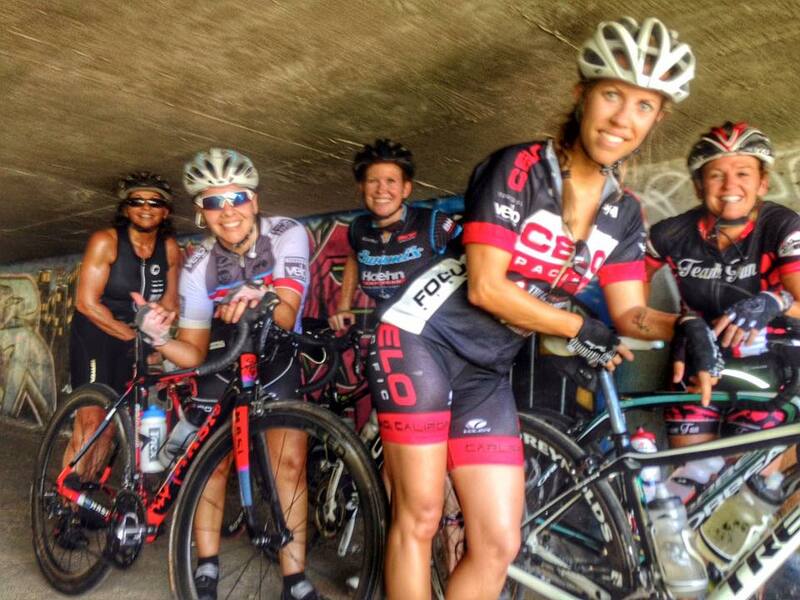 Beware of a few of the ride leaders who like to throw in a little extra adventure – in order to cut out some climbing and miles, Heather K led the group under the freeway off the 56 bike path, where they took this amazing shot. We definitely always look forward to these unique routes, and I know Jill and I (and others) look forward to scoping them out for you mid-week. For next Saturday, 10/17, we are back to the traditional Swami’s Saturday route. Our three groups will leave after the faster groups from Nytro, around 8:15 or so. We are planning something deviously challenging for the following week – it’s been too long since our last sufferfest, don’t you agree? Since we have a 5th Saturday this month, the last Saturday will be a wildcard ride. Let me know if you have any ideas or suggestions.